Thirty years ago, the 1988-89 hockey season was winding down. Wayne Gretzky was in his first season with the Los Angeles Kings, while the Calgary Flames would go on to win their first Stanley Cup Championship. Hockey legends Marcel Dionne and Lanny McDonald retired at the end of the season, while Guy Lafleur successfully started his three-year comeback. It was also a simpler time for hockey card collectors. There were only two mainstream hockey sets to collect — Topps and O-Pee-Chee — and there were not yet any Eric Lindros cards for speculators to hoard. In fact, the word “hockey cards” and “investments” weren’t even uttered in the same sentence back then. 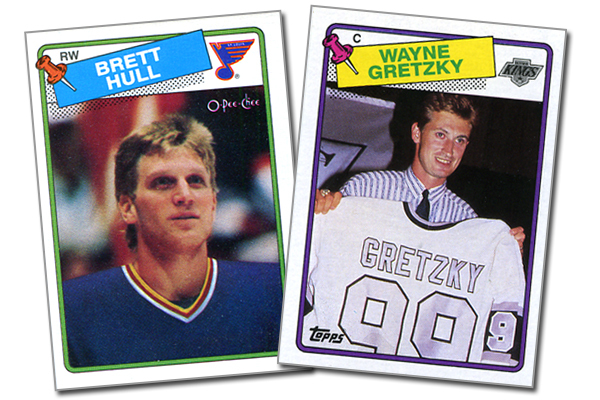 The 1988-89 season was also when I first discovered hockey — and thus started collecting hockey cards. 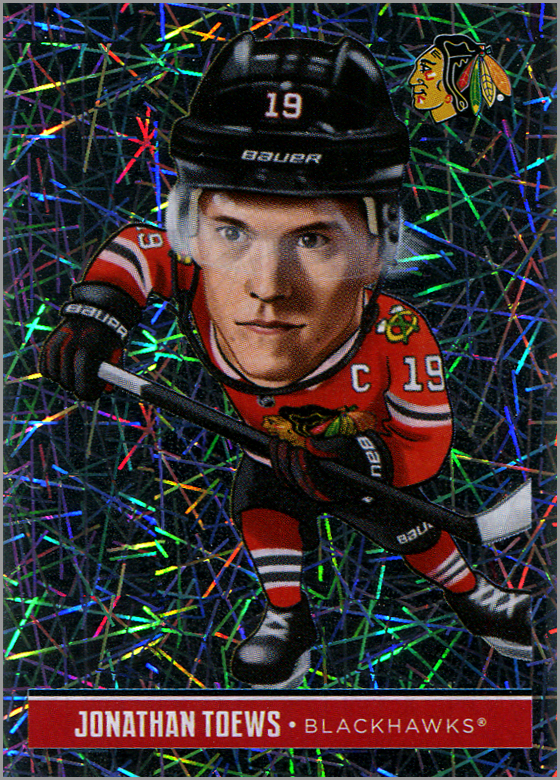 So, here is a look at the 10 best hockey cards from the 1988-89 season. These are not necessarily the most valuable or most-rare hockey cards from that year; rather, these are cards that have significance and should be in any serious hockey card collection. 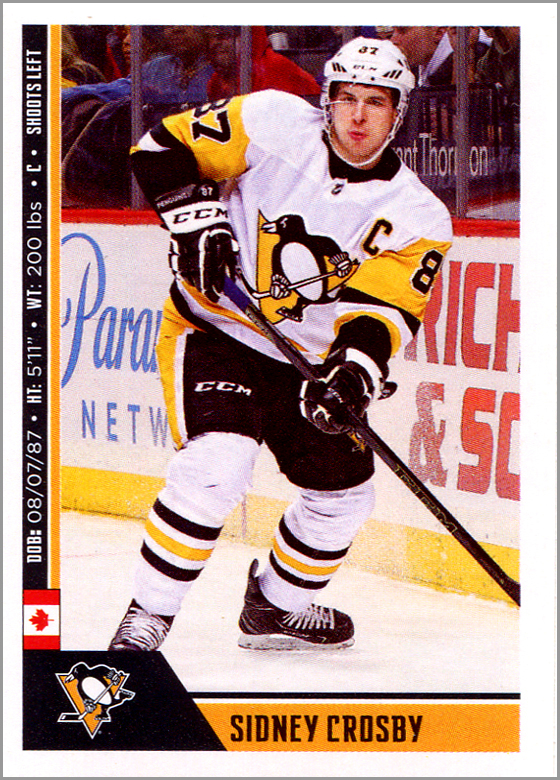 Last month, I purchased two full boxes of 2018-19 Panini NHL Stickers. My first box had quite a few foil stickers, and very few duplicates. So I was excited to open the second box of Panini stickers, and hoped that the collation would be as good as the first box. 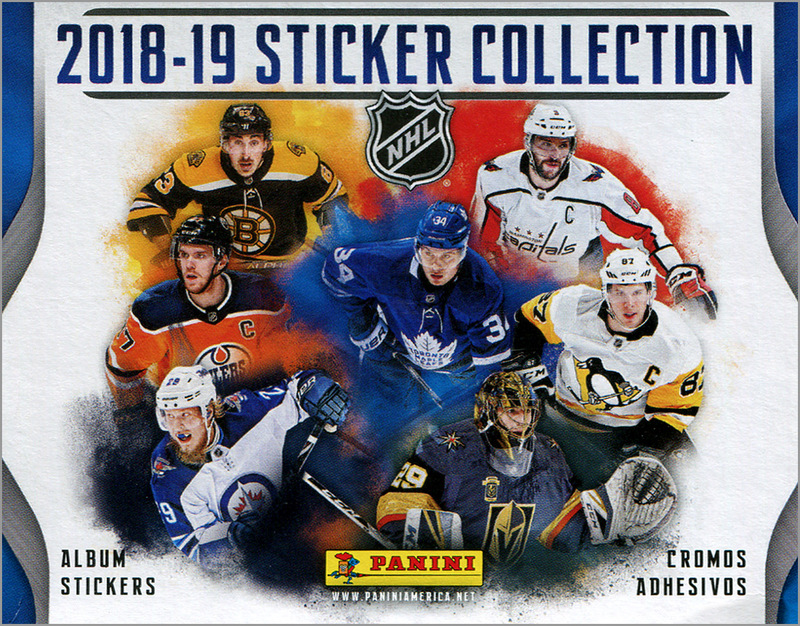 After purchasing boxes of 2016-17 and 2017-18 Panini NHL Stickers this summer, I decided to go “all in” and collect the 2018-19 Panini as soon as they came out. That is, instead of being thrifty and waiting for the season to end — and thus the price of a 50-pack box to drop significantly — I am going to try to build and complete this set during the season. One reason I am doing this is because it is more fun to collect a modern set the year it comes out, instead of one or two years after the fact. Another reason why I decided to build the 2018-19 set during this season is because I was very impressed with the collation of the 2017-18 box that I purchased, which had only 11 doubles out of 350 stickers. Maybe Panini finally realized — after 30 or so years — that if collectors buy a full box of stickers, they don’t want to get doubles and triples within that very same box. 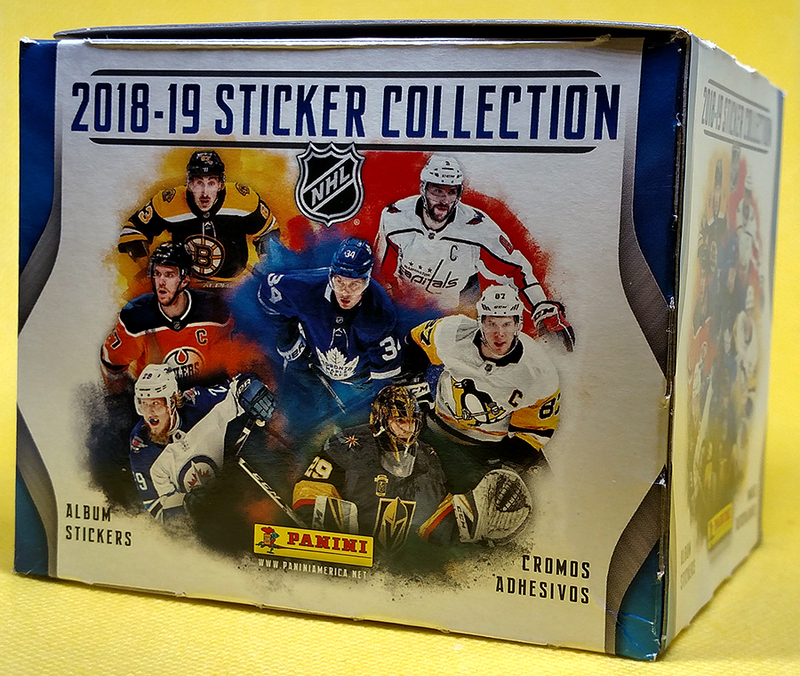 I recently went to a card show in Chicago, and one of the dealers was selling full boxes of 2018-19 Panini NHL Stickers for $35, so I decided to pick up two boxes. Here is my break of the first box. 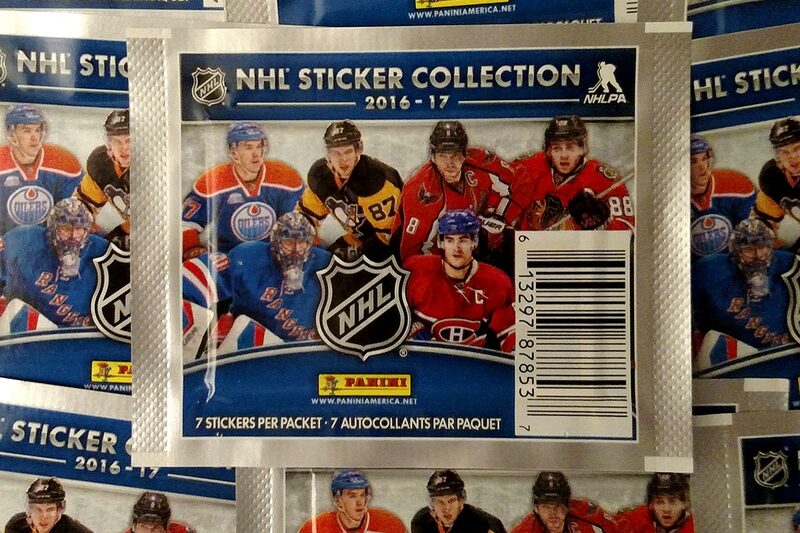 I will be the first to admit that I’m a little slow when it comes to buying and opening Panini Hockey Sticker packs. This is because I’m too cheap to spend $1 per pack (plus tax) for however many packs it takes to build a set; it’s usually over 100. I also don’t want to spend around $40 plus shipping on a box. So, I usually wait until the season ends. Then the price drops significantly, I purchase a box or two, and trade for or buy whatever stickers that I still need. 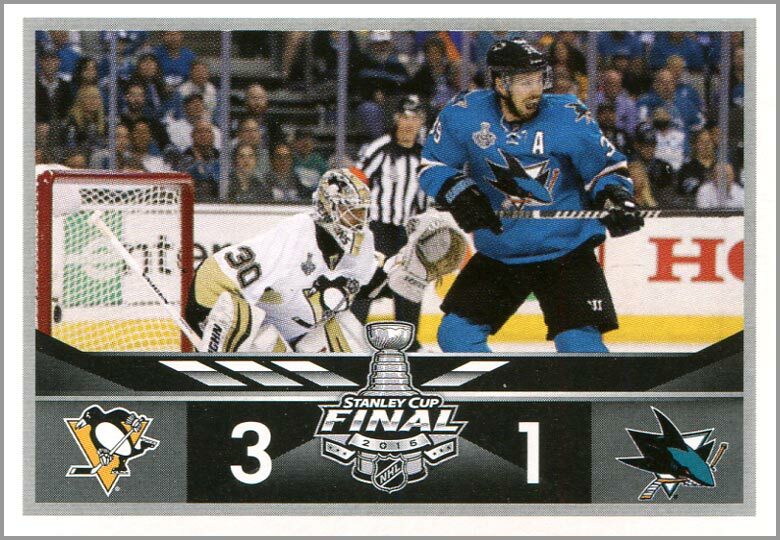 Panini Hockey Stickers usually have terrible collation. 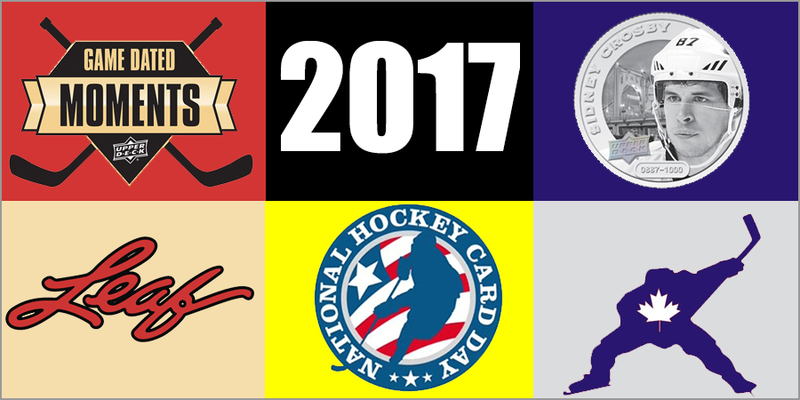 Earlier this year, I purchased a 2016-17 box, and 57 out of 350 stickers (roughly 16%) were doubles. 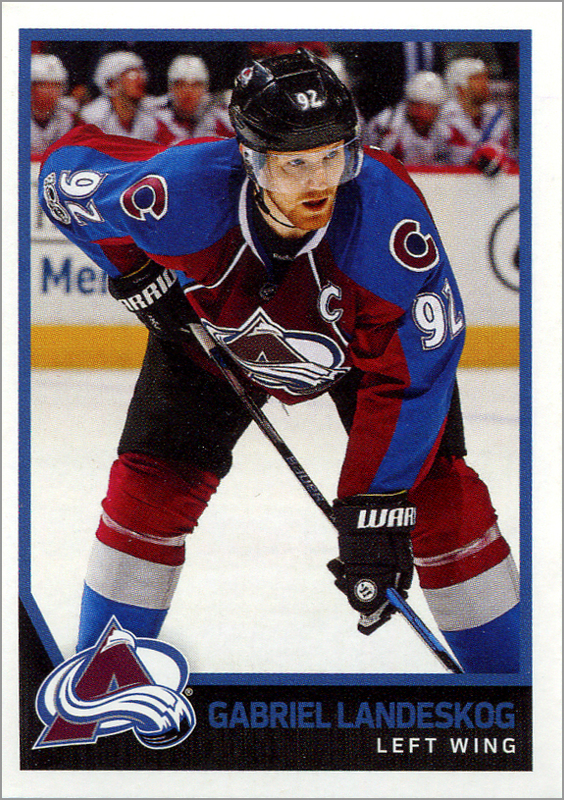 Despite shoddy collation, I still like Panini Hockey Stickers enough to try and build a set every year. 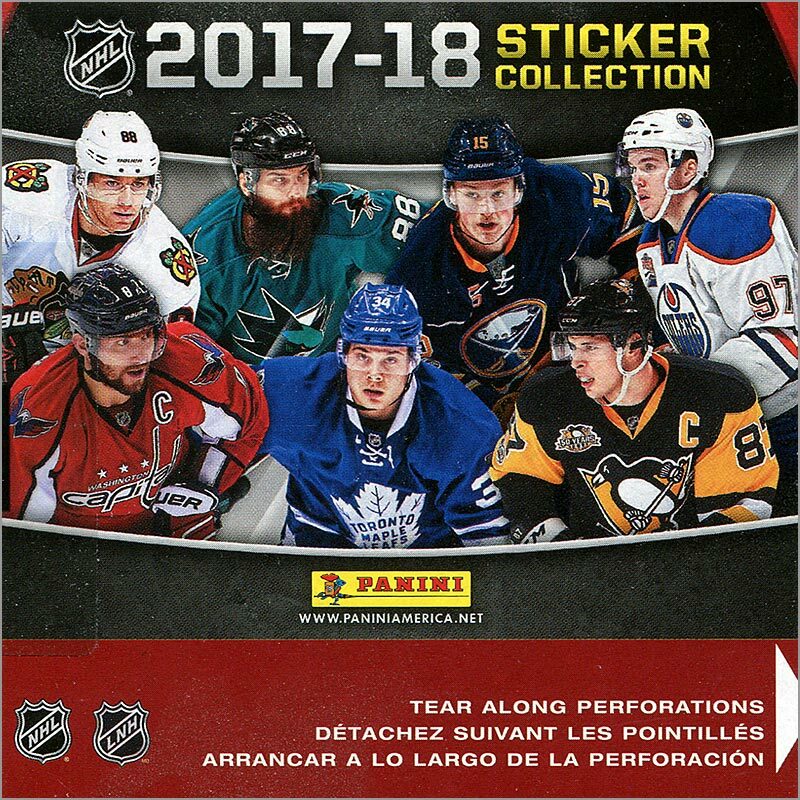 However, this box might be a turning point for me with Panini Hockey Stickers because the collation was actually darn near perfect. Buying Panini Hockey stickers has to be its own reward. There are no autographs, jersey cards, inserts or serial-numbered parallels. That’s OK, as long as you like what you are buying. 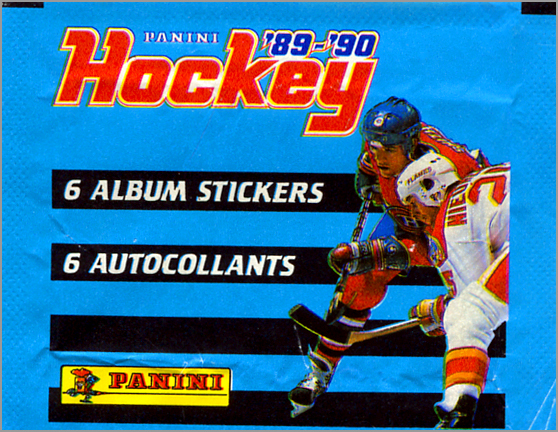 I’ve been a fan of Panini’s annual NHL Sticker set since the 1988-89 season. 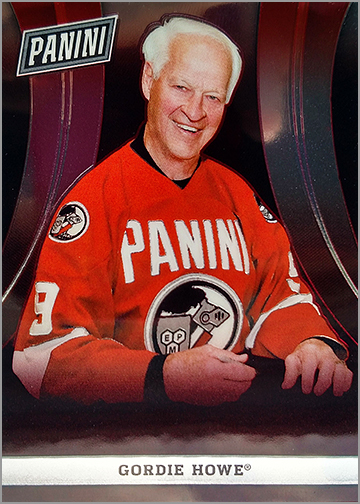 Panini’s NHL Sticker set is usually more expansive than most Upper Deck hockey card sets, with more players per team. 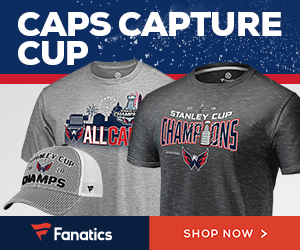 The set also usually features special events like the All-Star Game, Winter Classic and Stadium Series, as well as recaps of the NHL Awards and Stanley Cup Playoffs. That’s all the upside to Panini Hockey Stickers. The downside? The lousy collation. 2 Comments on Card of the Week: Howe Awful! 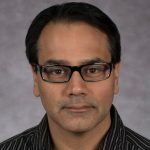 Is the Cost of Cards Worth the Reward? Money photo by Tracy Olson via Flickr. 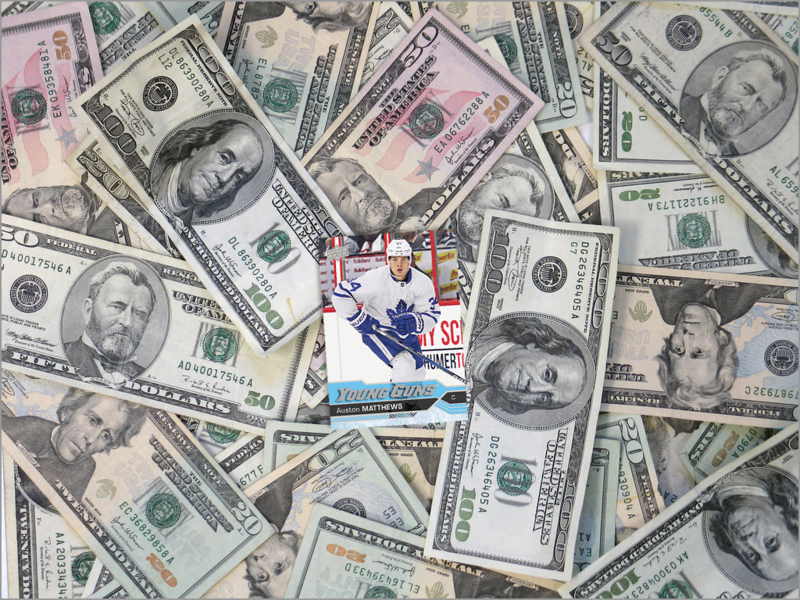 Y’all — that means “You All” for the Yankees — the hockey card market is getting out of hand. Normally I’d look at buying a box of Upper Deck Series One or Two to enjoy, save the hits, collect a few of the players I like, and entertain everyone with another Best of the Worst post. 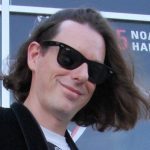 This past fall with Series One, I dragged my feet on writing that post because there weren’t a whole lot of crazy photos and I wasn’t super-inspired. I also wasn’t too crazy about the price I paid for the box vs. the cards that I got out of it. 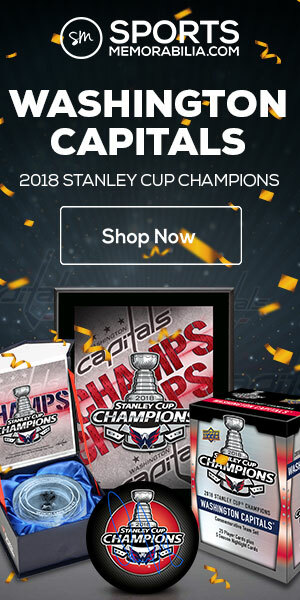 Two out of three boxes didn’t yield a jersey card, and outside of a mildly-rarer Shining Stars Alex Ovechkin and one or two Young Guns that may or may not pan out, it was fairly hitless. I shopped around to buy that box online for $70-75; in a local shop it would have cost me at least $85 to $100! The same goes for Series Two which was released in March. Looking at the list of who is in that set and the likelihood of getting anything of value, I can’t say it’s worth the price of admission. There just isn’t much going on in there. 11 Comments on Is the Cost of Cards Worth the Reward? How long is too long when waiting for a redemption card to arrive? Six months? A year? Two years? More? My most recent redemption took nearly four years of waiting, followed by four weeks of nagging, but it finally arrived. Recently, in my never-ending request to clear the piles of cards off of my desk, I found a redemption card that I had redeemed long ago. This was supposed to get me an autographed Akim Aliu rookie card from the 2012-13 Panini Limited Hockey set. I opened a box of these cards way back in mid-2013, registered the redemption number via Panini’s website, and then forgot about it. 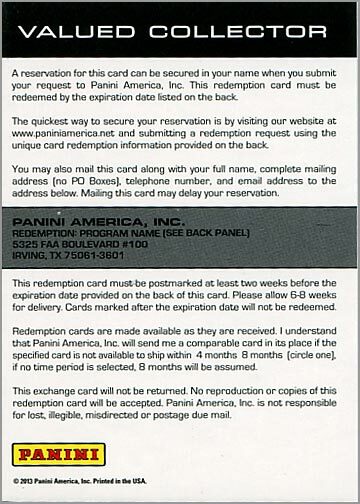 So did Panini.